street! But we’ve kept it on the down low while we formally launched our craft beers, then signature cocktails. Well, now it’s definitely time to yell from the rooftop (or at least the bartop) some of what you can expect from our coffee menu at Augustino Brewing Co.
Lu’s Habitude // An exclusive collaboration with Nitro Joes. Nitro coffee concentrate, steamed with sugar. It’s more than double the caffeine of a standard espresso shot, but sweet and easy to drink. Macchiato // Espresso marked with milk foam. Cortado // Espresso with some steamed milk. Cappuccino // Espresso with steamed and foamed milk. Topped with sweetened chocolate powder. Drip Coffee // Reverie Pope’ Choice. Americano // Espresso with hot water. Also available iced. Latte // Espresso with rich steamed milk. Also available iced. Red-Eye // Drip coffee with espresso. CafÃ© au Lait // Drip coffee with steamed milk. Hot Chocolate // Mocha and steamed milk. 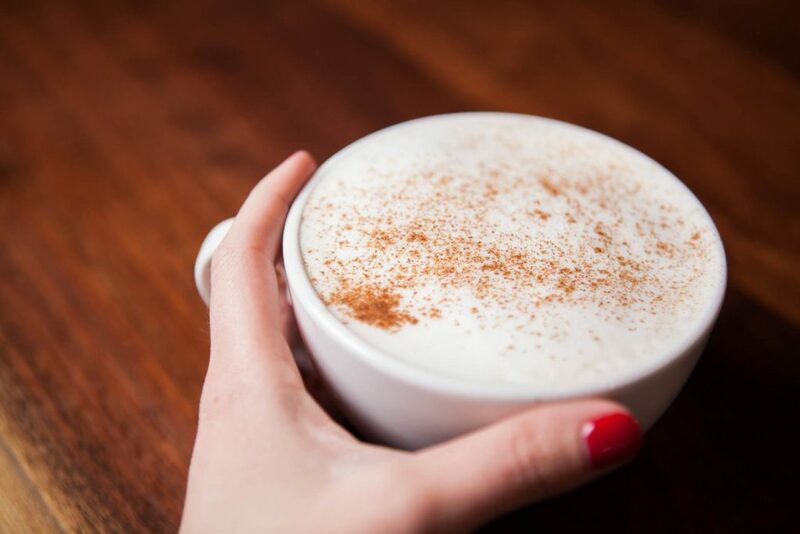 Chai Latte // Spiced chai tea base with steamed milk. Italian Soda // House syrup of choice with soda water. Misto // House syrup of choice with soda water. Monin Syrups: Large selection of popular choices available. House-Made Augustino Brewing Syrups: Honey-Cinnamon, Maple Bourbon, Vanilla.